UPDATE: This post won second place! Yay! 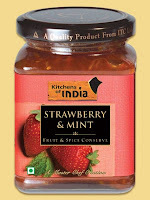 This post is my entry to Indiblogger's contest in association with Kitchens Of India. If you were to host a party for your friends or family, what would the theme of that party be? I love experimenting in my kitchen and trying my hand at various dishes. But at the same time, in today’s busy world when one is juggling a hundred things to do, one doesn’t really have the time or energy to plan and whip up elaborate meals. The idea of slaving away in a hot kitchen and stressing over a grand meal is simply not appealing to me. But does that mean that we always have to order food from restaurants or just completely skip entertaining family and friends? Of course not! Having family or friends over for a pleasant meal can be an enjoyable experience – with a little help from the experts. There are several brands of ready-to-eat and ready-to-cook delicacies available in the market today. 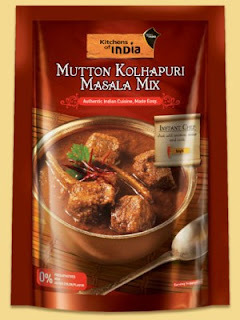 I have tried several of them but I must say that the range of products from Kitchens Of India are a step above the rest in terms of freshness, flavour as well as choices. Their authentic Indian fare comes to my rescue quite often – be it for a quick and tasty dinner on a busy weekday night or for mouth-watering fare at parties and get- togethers. With our wedding anniversary coming up in a few months, I started thinking about throwing a memorable party for my dear ones. The theme that I would like to choose is retro-Bollywood. So all the guests need to be dressed up in vintage 80s style. Just to paint a better picture, imagine the male guests with bell bottom trousers and puffy hair while the female guests could really indulge in their fantasies of imitating the yesteryear queens of the silver screen! How about some short, form-fitting kurtis with chudidhars and the dupatta tied cross-wise to the side, paired with huge sunglasses? Or colourful saris in flowing chiffon with short pallus and hair done up in a big bun? Throw on some bright lipstick, winged eyeliner and a diva attitude – and you’re all set to have some fun! 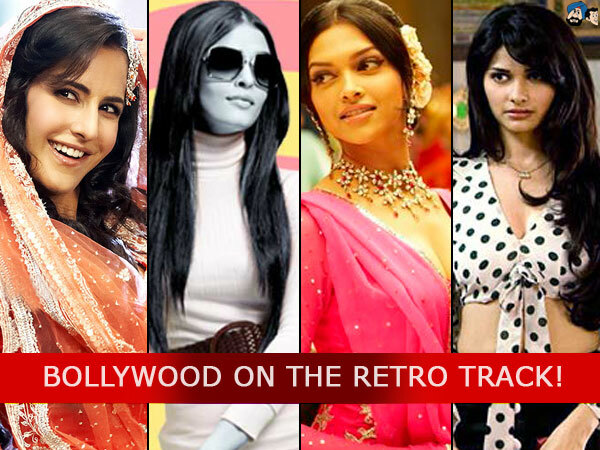 Let’s get the polka dots and loud colours back ladies! Take a hint from Bollywood! I prefer having my parties at my home sweet home. I feel it gives me more freedom to experiment as well as more control over the arrangements. To set the ambience I would do up living room with some cool posters of old Hindi movies in strategic locations. 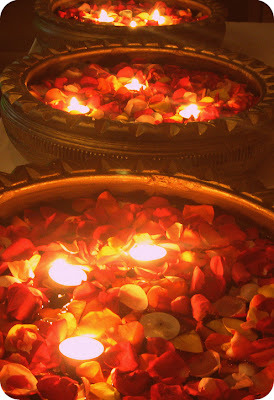 Antique brass urlis filled with water and pretty rose petals, fragrant jasmine and floating candles would add a warm glow to the entire room. All of us have a few old silk saris sitting deep inside our wardrobes. We don’t really want to wear them any more nor do we have the heart to give away such precious pieces. Why not repurpose them? 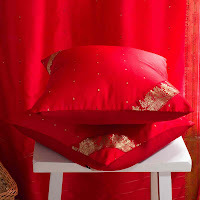 A party with an Indian theme like what I am planning now would be the perfect opportunity to do so! 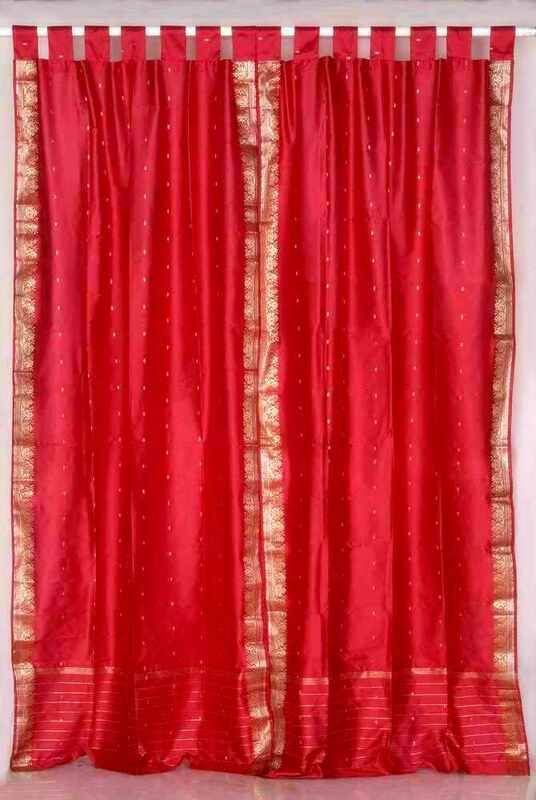 One can use them as attractive curtains - just drape them over the windows and when the zari catches the light from the candles and shimmers it will truly be magical! Or we could also convert them into eye-catching cushion covers instead. A couple of couches with comfortable bolsters to lean on plus some nice chairs should complete the look. Of course, what is a party without some good music? In the background, there would be classic Bollywood hits of the 80s playing along softly to indulge all of us in ecstatic nostalgia. The lilting melodies of R.D. Burman and Kishore Da will transport us back to a time when life was simple yet enjoyable. My Weekend Gourmet Party - It's Chow Time! And that brings us to the most important part of any party! I don’t know about you, but for me that part is definitely the food! While I want my guests to have a good time and enjoy themselves I also want to join in the fun – afterall it is my party, isn’t it!? Trust me, if I have spent the whole day sweating it out in the kitchen, by the time the party rolls around and my guests arrive I am going to be tired and washed out – not what one wishes an ideal hostess to be! Therefore I am going to make my life a little easier and reach out for Kitchens Of India. 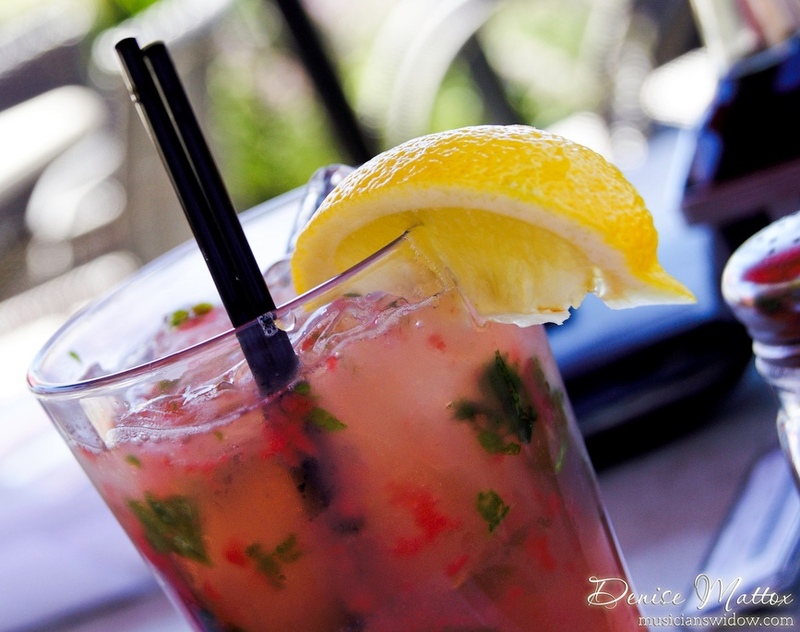 Drinks: To start off, I intend to greet my guests with a bright smile and a chilled glass of strawberry mojito. A mojito is a classic Mexican drink made with lemon/lime juice, fresh mint and rum. It goes really well with Indian food and I would like to give my own spin to this refreshing drink. To make this delightful drink, add a few teaspoons of Kitchens Of India’s Strawberry & Mint Conserve with a handful of ice cubes and some freshly squeezed lemon juice into a food processor. Blend till the conserve is well distributed and the ice cubes are crushed. Pour this mixture into glasses, top it off with some white rum, club soda and ice cubes. Garnish with a sprig of fresh mint and place a fresh cut strawberry or a wedge of lemon on the rim of the glass. Ta da! For a non-alcoholic version, simply skip the rum and add more soda or some lemonade. Cheers! Appetizers: Everyone likes to munch on something as they savour their drinks and chit-chat. This is where, appetizers come into the picture. I think I will place brass platters of masala pappad on centrally located and easily accessible tables. Small triangles of crispy roasted pappads topped with a zingy mixture of diced onions, cucumbers, tomatoes, green chillies and coriander with a pinch of salt, pepper and chat masala – yum! 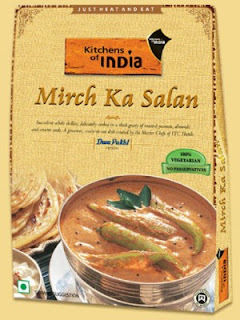 (Note to self: remember to deseed the tomatoes and cucumbers – there is nothing worse than mushy papad! Condiments: As an accompaniment to the masala pappads, I shall warm up some of Kitchens Of India’s Mango Jeera Chutney as well as Tamarind & amp;Date Chutney and place them in brass bowls. 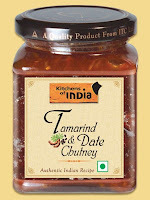 The tangy chutneys will go quite well with the crunchy masala pappads. Of course, I shall also stack individual plates and napkins near the platters and bowls, no one wants double dippers! Main Course: Moving on, the star attraction of the party (apart from me, of course :P) would be the aromatic biryani. 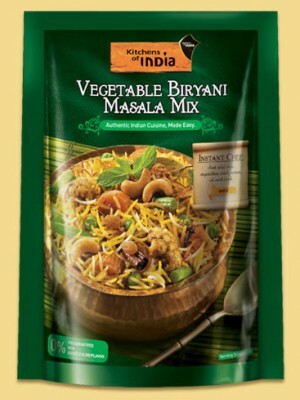 I am going to stick with the vegetarian version this time and with Kitchens Of India’s Vegetable Biryani Mix I cannot go wrong! All I need to do is add basmati rice and fresh vegetables to conjure up a delectable vegetable biryani. 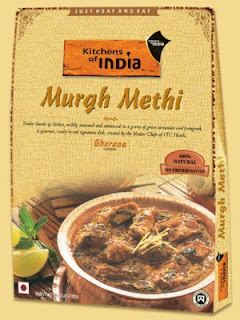 Side-dishes: For the non-vegetarians I choose Kitchens Of India’s spicy Mutton Kolhapuri masala mix and the flavourful Murgh Methi. 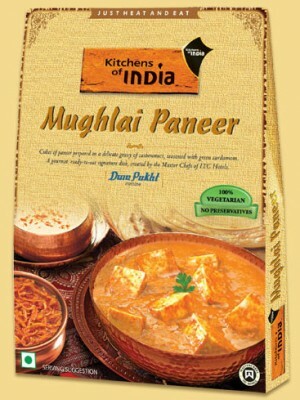 As for the vegetarians I think I shall go with creamy Mughlai Paneer and the fiery Mirch Ka Salan. Bonus? I don’t even have to cook the Mughlai Paneer, Mirch Ka Salan and the Murgh Methi –they come in hygienically sealed packs that are ready to heat and eat! Not to forget, the comforting staple – a raitha to cool down all the flaming taste buds around the room! 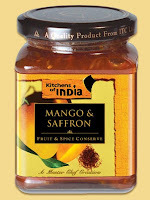 Dessert: To round off such a wonderful meal, I will serve some vanilla ice-cream topped with a vibrant syrup of mango and saffron. The syrup can be made by melting some of Kitchens Of India’s Mango & Saffron Conserve with a few teaspoons of water on medium heat in a saucepan for a few minutes. The Kitchens Of India’s Mango & Saffron Conserve is made with juicy Alphonso mangoes and sweet-smelling Kashmiri saffron for an exotic twist. Once the conserve loosens up to a pouring consistency, just spoon it generously over boring, plain old, vanilla ice cream and kick it up a notch! The contrast between the cold ice-cream and the warm and tingly syrup – Ah! A match made it heaven indeed! A Memorable Return Gift For The Guests: Once everyone’s appetites are satiated I shall present them with a thoughtful return gift to takeaway from my party. The Kitchens Of India’s gift packs are ideal for this. 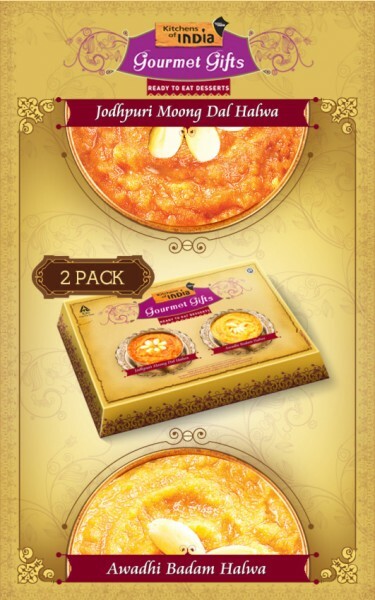 Each pack contains Jodhpuri Moong Dal Halwa and Awadhi Badam Halwa. Perfect to indulge your sweet tooth! Afterall there is nothing wrong in spreading the joy and sharing the pleasures of Kitchens Of India with my friends and family right!? I am sure that my weekend gourmet party will be a treat to all the senses! I bet my party is going to be a super-duper hit and that my guests won’t forget it for a long time – thanks to Kitchens Of India! Now I'm off to draw up my guest list! Its retro ---and I love it -----nice post and that menu of yours happens to have a lot of my favourite dishes too ----so looks like we have a similar taste in many respects.